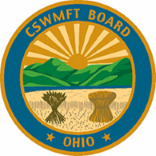 The Ohio Counselor, Social Worker & Marriage and Family Therapist Board (CSWMFT) invites your opinion on the level of service provided for your contact or interaction with the Board. Please take a few minutes to complete this eight question survey. Your response will help improve future services provided by the Board. * 1. What service did the Ohio Counselor, Social Worker & Marriage and Family Therapist Board provide? * 2. Which profession did your issue/service deal with (check all that apply)? * 3. Which of the following best describes you (check all that apply)? * 4. How would you rate your experience interacting with the CSWMFT Board? * 5. How do you rate the CSWMFT Board's website? I easily found the information I desired. I regularly visit the Board's website. * 6. What services/information would you like us to provide that is not currently available? * 7. Do you have any additional comments or suggestions? * 9. Would you like a return email or phone call? We will use email or telephone # from the prior question to contact you.